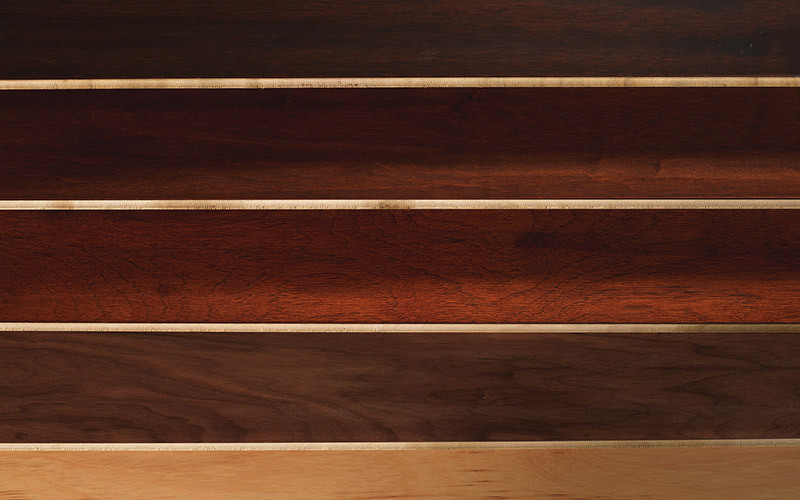 Dark vs light hardwood flooring: which is right for you? Dark vs light wood? This is perhaps the most common question when it comes to hardwood flooring. As you might suspect there is not one right answer. The choice between dark hardwood floors and light hardwood floors depends on your home, decor and lifestyle. Let's review a few pros and cons of each to help you answer the question for yourself. Dark hardwood styles are distinctive and have characteristics that homeowners love. 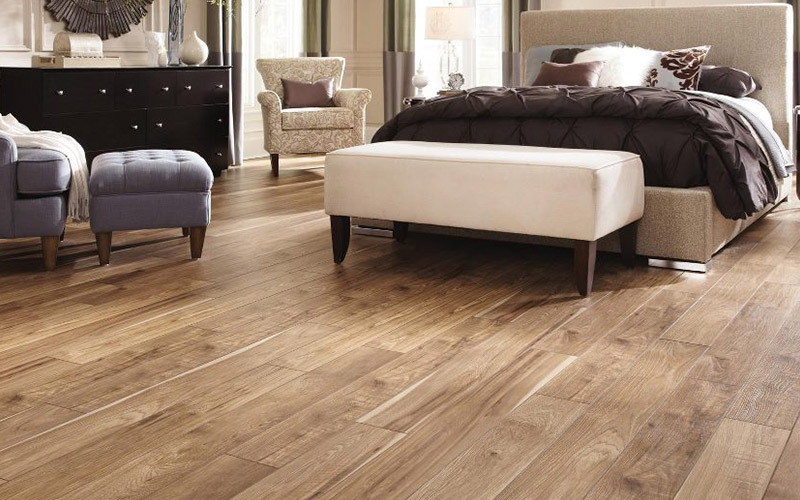 Dark is definitely "in" right now but dark hardwoods never really go out of style. They add an upscale look to your home, something about the dark shades just feel more luxurious. In a kitchen they can be particularly sharp - the contrast between dark floors and white kitchen cabinets is sophisticated and timeless. The biggest con for dark wood floors? They are very hard to keep clean - they tend to show every scratch or speck of dust. A non-glossy finish can help hide the dirt and dents a bit but it's always going to be a concern. Light hardwood floors are the clear winners when it comes to maintenance. They show dirt and imperfections much less than dark floors. If you have pets or kids, light hardwood floors are the more practical choice by far. Lighter woods work well in spaces big or small and they are more neutral in shade which makes it easier to match furnishings and wall colors. Cons? There really aren't many. Some people feel that lighter hardwoods bring a dated look to a room but that is easily counteracted by going with differing plank widths and lengths to add a more modern feel. After considering the kids and pets, thinking about your cleaning style, and the use of the room, the choice between dark and light hardwood really comes down to personal preference. One more thing to consider: what color are your walls? Generally speaking you won't want dark wood floors with dark walls or light wood floors with lighter colored walls. Dark vs light hardwood? Bring the question to Indianapolis hardwood store Kermans and we'll help you answer it with our wide selection of hardwood floors at prices to fit every budget.